Nigeria, which elects a new president on February 16, is Africa's most populous nation and leading oil producer but is dogged by poverty and insecurity. More than 190 million people live in the West African nation. The UN estimates it will become the world's third most-populated country by 2050. Nigeria has about 250 ethnic and linguistic groupings, the three largest being the mainly Muslim Hausa in the north, the mainly Christian Igbos in the southeast, and the Yoruba in the southwest. The population is roughly half Muslim and half Christian. Nigeria overtook India as having the most people in extreme poverty last year, according to the World Poverty Clock, with 87 million people estimated to be living on less than $1.90 a day. The area corresponding to modern-day Nigeria was historically home to independent kingdoms and city-states, which were affected by the European slave trade from the late 15th century. British colonialists amalgamated its northern and southern protectorates into a single entity - Nigeria - on January 1, 1914, and ruled until independence in 1960. Post-independence Nigeria has suffered six successful coups since January 1966, leading to decades of mostly military rule until civilian government was restored in 1999. A bid for secession in the mainly Igbo region of Biafra led to a civil war that left about one million people dead from combat, illness and starvation between 1967 and 1970. Outgoing president Muhammadu Buhari, himself a former coup leader, in 2015 became the first opposition candidate in Nigerian history to defeat a sitting president. A big threat comes from the radical Islamist group Boko Haram, whose insurgency has devastated the northeast since 2009, killing at least 27 000 people and displacing more than 1.8 million. Buhari was elected on a pledge to defeat the group, after his predecessor Goodluck Jonathan failed to do so. In 2014 the group's kidnapping of 276 schoolgirls from Chibok brought the violence to world attention. In late 2015 the army succeeded in driving the jihadists from swathes of territory. But since July 2018 Boko Haram's Islamic State-backed faction, ISWAP, has stepped up deadly attacks on military bases. 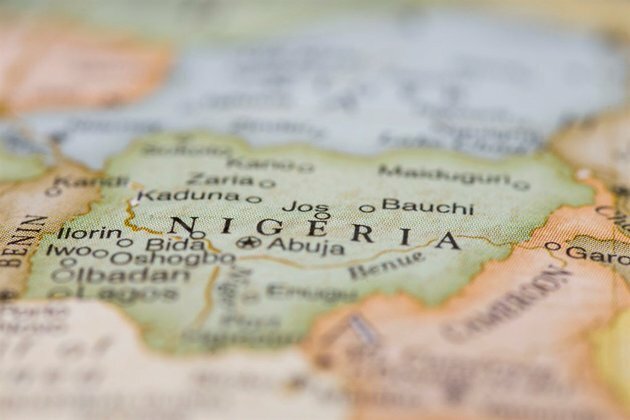 Nigeria is also marked by a conflict over land and resources between mainly Christian farmers and nomadic mostly Muslim herders in which thousands have died over the past years. The country is Africa's leading producer of oil, which accounts for nearly 83% of its government revenues. It also sits on the continent's biggest reserves of natural gas. However it is emerging slowly from recession between 2016 and 2017, sparked by the plunging price of crude and attacks on its oil infrastructure. In 2019 it is expected to record two percent growth, according to the International Monetary Fund. Decades of military rule saw under-investment in many sectors and allowed corruption to flourish, leaving large parts of Nigeria with inadequate and substandard infrastructure. Efforts are being made to catch up but rapid population growth, poor policy implementation, lack of good governance and persistent graft makes it an uphill task. Nigeria has produced major authors such as Wole Soyinka, Africa's first Nobel Literature Prize laureate (1986), internationally acclaimed Chinua Achebe and feminist writer Chimamanda Ngozi Adichie. Its film industry, "Nollywood", brings in billions in revenues and produces some 2 000 films annually, mainly small productions on DVD sold by street traders. With the growing quality of local productions and the availability of satellite channels, Nigeria's cinema is exported across Africa. Nigeria is also the home of Afrobeats, originally made popular by singer and activist Fela Kuti, as well as a host of internationally acclaimed artists. Football is the national sport.